For nearly half a decade, Terrence Malick has been a silent giant of American cinema, rarely making public appearances or sharing details about his creative process. His filmography, spanning a total of 9 works, is one of the most polarizing sum of films made by any mainstream filmmaker. We can break down Malick’s work into two phases – the first phase, his first 4-5 films, spans from 1973 all the way to 2011. 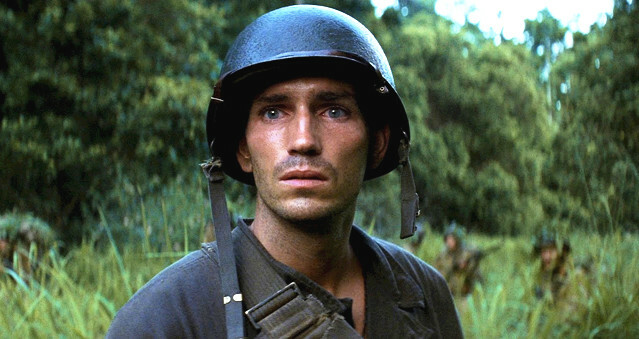 This phase is characterized by long intervals of time between each film (including 20 whole years between Days of Heaven (’78) and The Thin Red Line (’98)). It’s fair to say that Malick’s phase one films are more accessible and slightly less polarizing. Malick’s second phase consists of 4 films made between 2012 and today (with a fifth, Radegund, coming later this year). These films have sparked more vitriol from critics and audiences alike, but have also brought about their share of affection from Malick’s most loyal fans. Malick’s unique approach, which he has admitted does not necessarily include story boarding or any form of concrete plans, likely contributes to the divisiveness of his work. His philosophy with regards to Cinema isn’t entirely clear, but one gets the sense that he stubbornly treats it as a living, breathing art form. This is evident in the standout life-like quality of his work, and his apparent obsession with the natural world – it is said that he spent the second half of his famous 20-year hiatus doing research on plants and wildlife in the Guadalcanal Campaign region of World War II, which is why almost every shot in The Thin Red Line is filled with accurate natural details. On working with Malick in Song to Song, Michael Fassbender recently commented on the auteur’s process, “I’ll be acting my socks off, and you turn around and Terry is filming a beetle.” Many of Malick’s thespians – some of whom have not made it into the final cuts of his films – have confessed feelings for him of both intense admiration and frustration. These otherwise mutually exclusive feelings are arguably true for audiences as well – much of Malick’s work is tough, harrowing, and exhausting. Still, one gets the sense that his films are worthy experiences that require patience, and are an opportunity worth taking advantage of. It should be noted that it would be impossible to make a definitive ranking of Terrence Malick’s films – most of them are so convoluted and so polarizing that it only makes sense for his audiences to split on how the works stack up against one another. For example, his recent work Knight of Cups has an underwhelming 47% score on Rotten Tomatoes, but made it onto several top films of 2016 lists by high end critics. With that said, here is one attempt to rank his films. 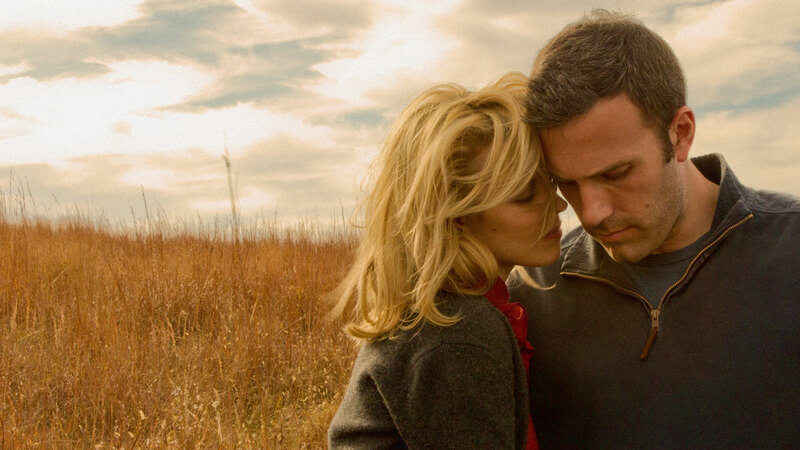 In last place is one of Malick’s more recent works, To The Wonder, which stars Ben Affleck, Rachel McAdams, and Olga Kurylenko. Affleck plays Neil, a man who struggles to commit romantic love to just one woman – romantic indecisiveness and fluidity being a common theme throughout Malick’s work. The two women in his life are Jane (McAdams), his high school sweetheart whom he reconnects with on a visit to his childhood home, and Marina (Kurylenko), the woman traveling with him. Beautifully shot by one of Malick’s most frequent (and most beneficial) collaborators, Emmanuelle Lubezki, the film stands out for its stunning visuals more so than its frustrating rumination on overused themes, not bringing anything really inventive or exciting to the table. To accuse a – dare I say – genius like Malik of being shallow would be cringe worthy, but this work shies away more than any of his others from asking big questions, which isn’t to necessarily say it’s ‘bad’ so much as weak and less brave by comparison. Still, while it acquired a mere 46% rating on rotten tomatoes, many critics swooned at the film, which earned a 3.5 out of 4 from Roger Ebert, a long time Malick loyalist. Early reactions to Malick’s most recent film have been, not surprisingly, extremely divided. Indiewire even published a critics survey in response to the film titled “Have People Lost Patience With Terrence Malick?” (Many of which, had). Malick took an almost Herzog-like approach, traveling with Lubezki, a production team, and an impressive cast of actors including Ryan Gosling, Rooney Mara, Natalie Portman, Michael Fassbender, and Christian Bale (who was cut out of the film), quickly and impulsively snatching up footage from the Austin, Texas music scene. The final cut features various cameos from real life musicians who happened to be in the crossfire of Song to Song’s production. At the film’s premier at SXSW, Malick gave a rare interview with admirer and colleague Richard Linklater, in which he admitted that the project’s first picture lock clocked in at a whopping eight hours (which to Malick, was nothing impressive or shy of normal). Nevertheless, the resulting 2 hours and 25 minutes feels mostly like a conglomerate of cool, thematically linked shots and improvised scenes, boosted by the beautiful cinematography. Still, this film ranks above To The Wonder. It’s a little more challenging and even annoying, but it is much more unique in its exploration of the Austin music scene. More than anything, this film seems like a victory lap for Malick. The same interest in the universe and how we fit in it that Malick beautifully demonstrated in The Tree of Life is showcased to a lesser degree in his documentary on the history of the natural world. 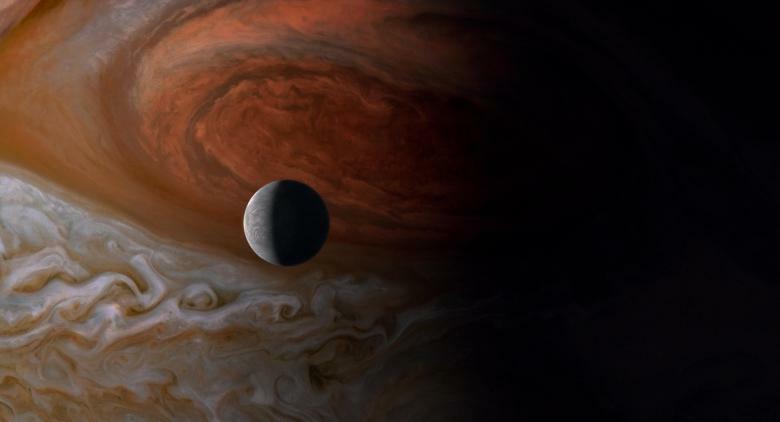 There are two versions of Voyage of Time, an IMAX experience narrated by Brad Pitt that clocks in at 44 minutes, as well as the 90-minute, Cate-Blanchet narrated, Voyage of Time: Life’s Journey. We’ll lump them together out of convenience. Deciding where this one fits amongst Malick’s work proves difficult – for one thing, it’s a documentary. More than any of his other films, this one feels like something Malick did for fun – a side project exploring the natural world, something that clearly fascinates him. In context however, this film proves successful – it offers visually stunning insight into the history of the universe, and what our future holds. The experience of Voyage of Time is comparable with the artwork of the 10th century Chinese landscape painter Fan Kuan, whose body of work is meant to remind us humans how small we are in the grand scheme and space of things. Voyage of Time offers a humbling experience, in which we are reminded of our miniscule place in nature and of the grand beauty of the natural world. Pretty straightforward. 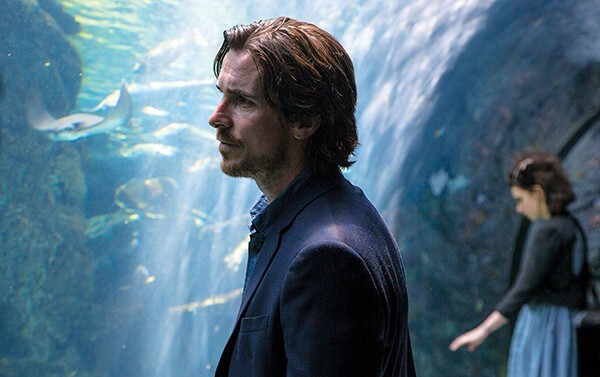 The only Phase II film that hasn’t yet been mentioned, Malick’s Knight of Cups is… interesting. The near 2-hour film follows Christian Bale’s Rick throughout various nooks and crannies of Los Angeles, as he plays a washed up, successful Hollywood screenwriter in search of more substance in his life. The film itself has a very similar structure to Andrei Tarkovsky’s Andrei Rublev, divided into eight different chapters (not to mention it’s religious overtones, another Malick signature). Each chapter dissects Rick’s relationship with a different character, most of them being female and/or lovers. Among these characters are Nancy, Rick’s ex-wife played by Cate Blanchet, his brother Barry played by Wes Bently, and Natalie Portman’s character Elizabeth, a married woman having an affair with Rick. The way Song to Song was very in and of the Austin Music scene, the production of Knight of Cups intimately involved Los Angeles, with the cast being spotted many times during production in 2012. Its musings on LA itself are something critics and audiences alike like to chew on. This is to date Malick’s only Los Angeles set film, after all. Moreover, this film was very polarizing (shocker!). Rogerebert.com gave it 4 out of 4 stars. Meanwhile it has a nasty score of 46% on Rotten Tomatoes. It tops the Phase II films of this list because, well, it feels the most thought out and insightful. It’s a meaningful exploration of film industry success, definitions of love, and the ever-intriguing city of Los Angeles. Following the critical and commercial success of 1998’s The Thin Red Line, Malick went back into hiding. Seven years later, he returned with his epic period piece The New World. A lot can be said of Malick’s take on the story of Pocahontas and John Smith. It being the beginning of his incredibly successful partnership with Emmanuelle Lubezki, much praise is owed simply to the film’s visual beauty… although agin, the same can be said for every Malick film. The real meat here is the pensiveness of the film and its observational take on the conquest of Native American lands. It’s important to note that this was Malick’s first of the 21st century, a time when questioning basic traditions like the celebration of Columbus day or hating president Andrew Jackson have made their way into the mainstream American consciousness. Instead of taking the easy way out with a preachy message, Malick goes for the more difficult, more admirable, naturalistic take. The final product is a beautiful, wonderfully acted film that conveys the many complications of the conquest of the Americas – different, sound motivations pitted against each other, perhaps just consequence of human nature. While critics initially hesitated to give the film more than mild reviews, it got the last laugh, earning 39th place on the BBC’s recent critics poll for the 100 best films of the 21st century.